Are you ready for St. Patrick's Day? We are only a few days away from another Irish celebration, so hopefully you are stocked up and ready to celebrate. A lot of places will be having their St. Patrick's Day celebrations this weekend, so you should be able to find a variety of places to get the party started! As we get closer to another St. Paddy Day, I felt it would be fitting to name a Bum Wine Of The Week to start the celebration. There is only one bum wine that can live up to those expectations, and that is the one and only Wild Irish Rose! 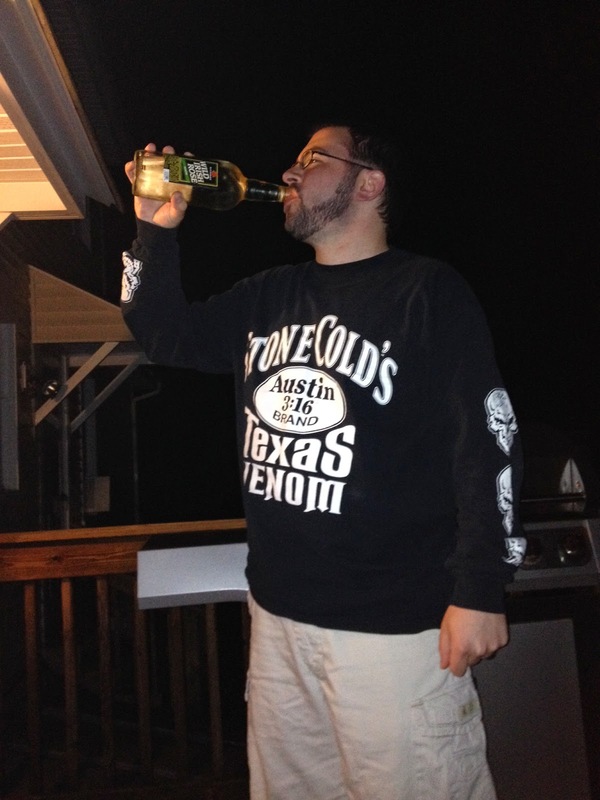 As a special added bonus for all of you loyal readers out there, you know that normally only one flavor or variation of a certain bum wine would be featured when we name our BWOTW, but since this is a special occasion, all flavors of WIR are fair game! 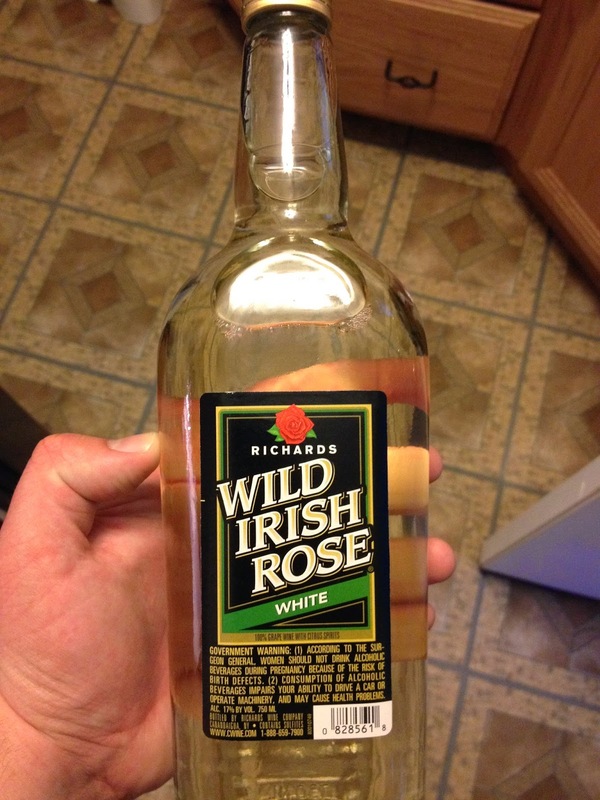 There is nothing fancy about Richards Wild Irish Rose, and that's why you normally don't see me bringing up WIR in a lot of the bum wine discussions. There are a variety of different flavors of Wild Irish Rose on the market, with the most famous being the classic Red and While varieties that come in at 17% and are a 100% grape wine. There are also a few other variations on the market such as: Wild Fruit, Wild Grape, and Moscato. On last weeks edition of the BWB Podcast, Kapn Krude gave us his take on Wild Irish Rose and also gave us a few concoctions that can be created using this fine wine! Don't just take our word for it, according to our friends over at the Constellation Brands website, they agree! 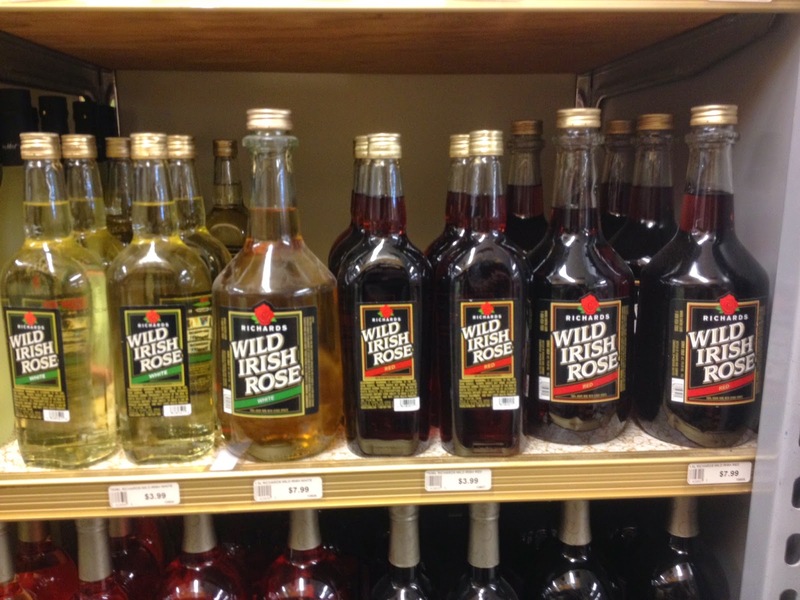 "One of the first branded wines in America, Wild Irish Rose has been delivering trademark quality, full-flavored, and fruity fortified wines for over 50 years. A category leader for decades, Wild Irish Rose offers a range of consumer favorite fruit flavors." Grab a bottle of your favorite variety of Wild Irish Rose and join us this Sunday, 3/15/15 at 11AM ET for another edition of the BWB Podcast. This week is the BWB St. Patrick's Day Celebration! Cheers!